The camping cabin at the Greenbrier Campground is perfect for couples and small families that want to camp but prefer a few luxuries as well! This means that you can spend the night in our campground while enjoying a temperature controlled environment, television, refrigerator, microwave and private bathroom facilities! You can also sleep in comfort as the cabin contains a bunk style queen bed with a twin on top, making it ideal for 3 people. 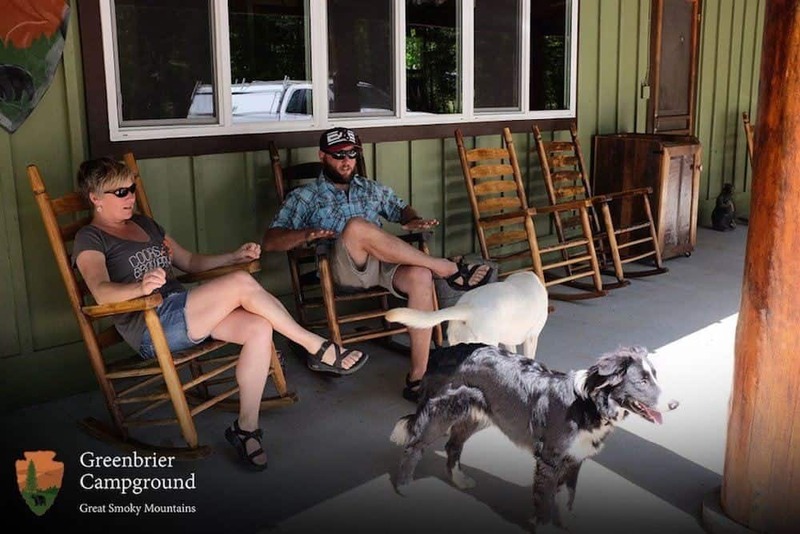 As a bonus, the cabin is pet friendly so you can even bring your furry companion along for the fun of camping in the Smoky Mountains! The camping cabin features a fabulous location at our beach and swimming area, so you are just steps away from the river! 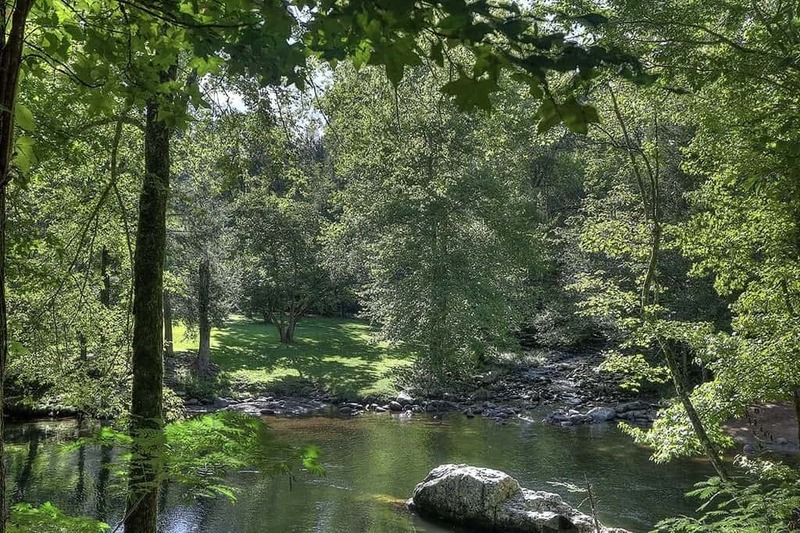 While you are relaxing on the deck at the back of the cabin, you will love overlooking the water and the other beautiful scenery at our campground. Of course, the cabin comes complete with an outdoor picnic table, fire ring and charcoal grill so that you can still enjoy traditional camping experiences such as dining outside, sitting around the campfire and making s’mores under the stars! 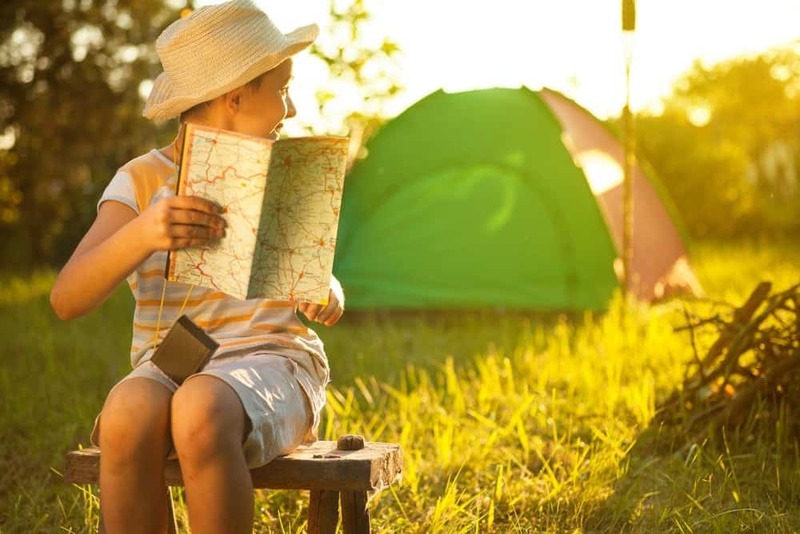 While our camping cabin has virtually everything you need for a fantastic experience of camping in the Smoky Mountains, there are still a few things you should bring along with you. Since the cabin is not equipped with linens, pillows and towels, remember to pack these for your vacation at the Greenbrier Campground. Our kitchen is fully equipped and has everything you need to prepare delicious picnics and meals during your stay! The only thing that you need to bring along are the groceries, which you can pick up at one of the grocery store chains in Pigeon Forge and Sevierville. Guests staying in our camping cabins have access to all of the wonderful amenities throughout the Greenbrier Campground! If you have kids in your family, they will especially love the recreational facilities such as volleyball, badminton, bocce ball, corn hole and horseshoes! 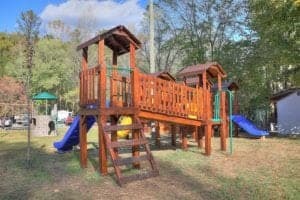 We also offer a free game room, playground, outdoor ping pong and billiards, a camp store and laundry facilities. If you want to keep in touch with your family and friends back home during your vacation, take advantage of our complimentary wireless internet access! Check out all of the details about our camping cabin today to find out more and to enjoy camping in the Smoky Mountains! We look forward to seeing you this season at the Greenbrier Campground!